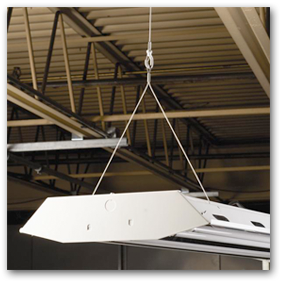 Allows objects to be hung at a variety of angles, even from sloped ceilings. Works with slightly damaged threads and minor burrs on the threaded rod. 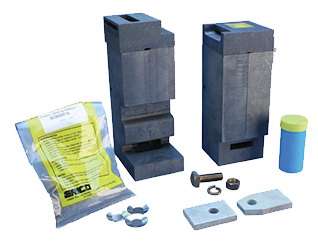 Breakthrough “push-to-install” design, dramatically reducing install time. 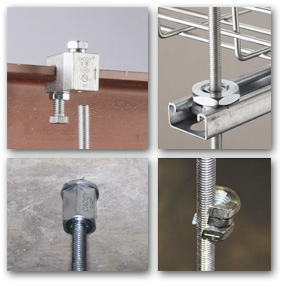 Revolutionizing how contractors support conduit, cable tray, lights, ductwork and pipe. 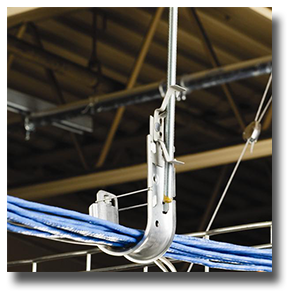 Provides optimal support for high-performance data cable. 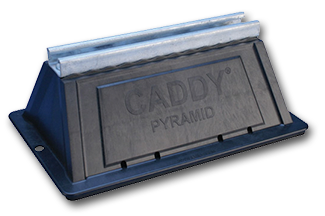 Provides Superior Load distribution, even with varying rooftop surfaces.